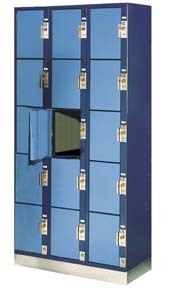 These Basket Lockers are available on www.buyusedlockers.com where they have a huge selection to choose from if we need additional supplies. 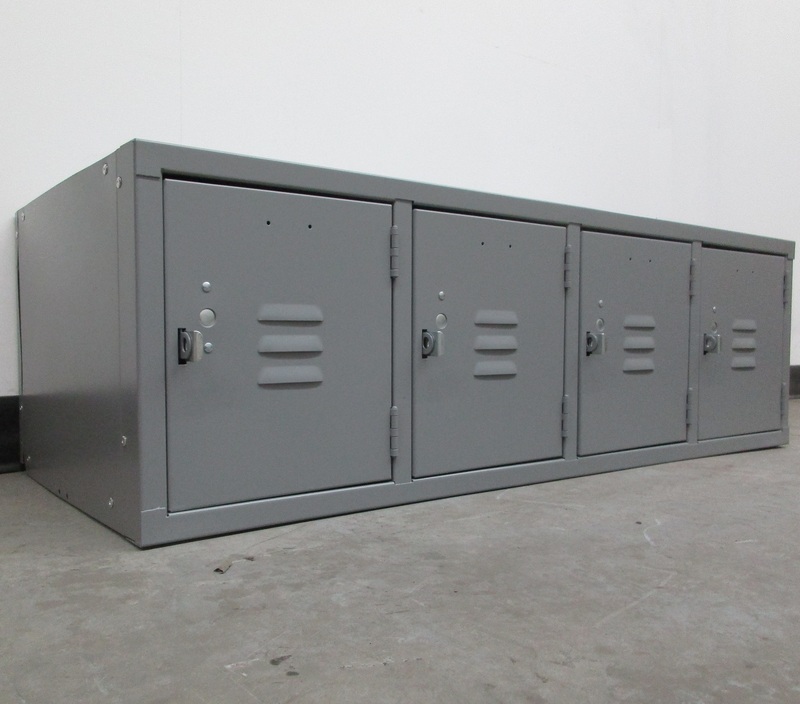 Our Basket rack lockers are designed to allow for plenty of air circulation to keep basket contents dry and clean, and for visual inspection without comprising the security of stored items. Baskets are designed to stop as they are pulled out for safety purposes and they tilt down for easy access of stored contents. 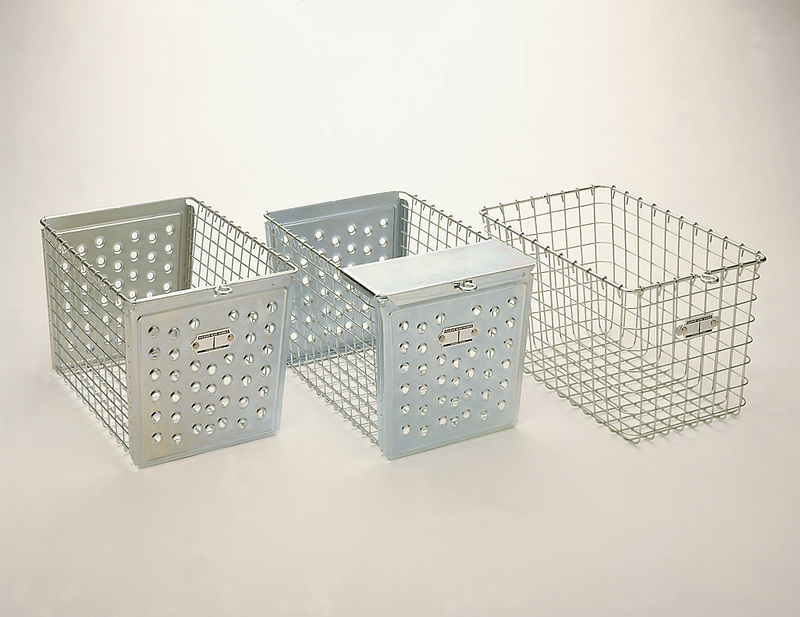 Basket sizes 9" x 13" x 8" Basket sizes 12" x 13" x 8"
We offer them in different styles and have several options including: dividers, casters, up to 21 colors and different types of baskets (all wire, perforated steel front and rear with wire sides and bottom, or perforated with pilfer guard for additional tamper resistance). Baskets are metal, not cloth, and are lockable with padlocks for security. With their open design, contents have the best air circulation available in a secure boxed storage compartment. Protective 3" high 20 gauge dividers make contents inaccessible from adjacent openings. 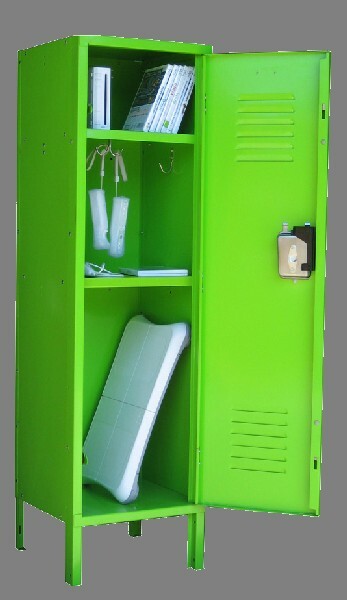 Basket Lockers are perfect for storage of swim wear, athletic apparel and gear for swimming pools, recreation centers, clubs, YMCA's, schools and any other organization with pools and gym facilities. 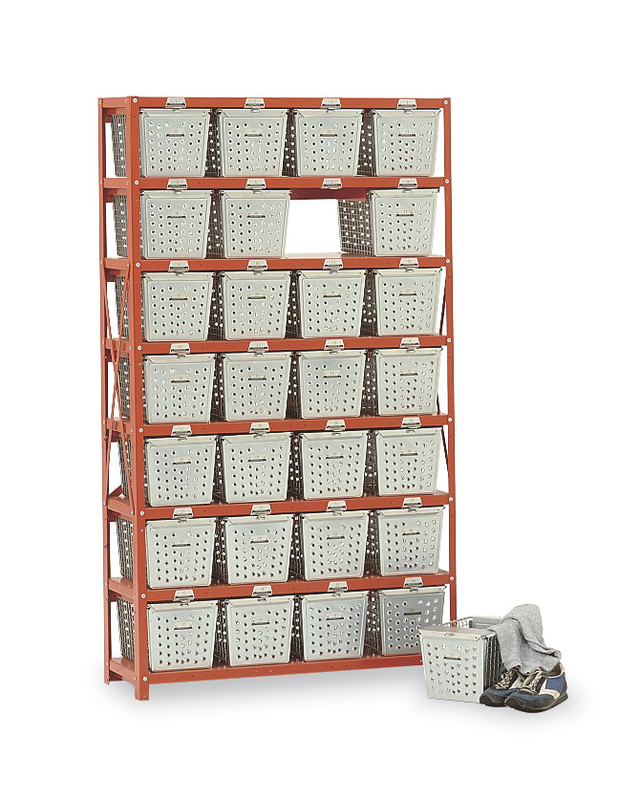 Due to their heavy dutiness and industrial toughness we also see many customers purchase these for the storage and organization of their tools and supplies in shops, productions floors and warehouse operations.